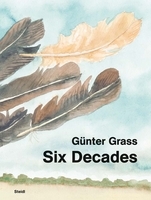 Paperback, 6.5 x 9.75 in. / 560 pgs / 119 bw. 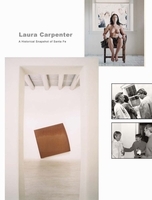 Revised and redesigned, Tomkins’ book remains the classic Duchamp biography. 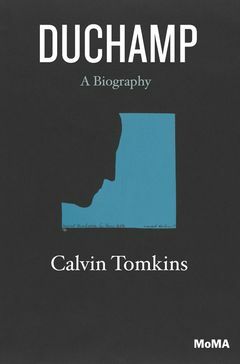 First published to great acclaim in 1996, New Yorker writer and art critic Calvin Tomkins’ biography of the influential artist Marcel Duchamp (1887–1968) has been out of print for many years. Now, The Museum of Modern Art, New York, is publishing a new and revised edition of the landmark biography to commemorate the 100th anniversary of Duchamp’s first Readymade, “Bicycle Wheel,” a later version of which is in MoMA’s collection. Duchamp is widely considered one of the most important artists of the twentieth century, yet his personal life remained an enigma throughout his avidly scrutinized career. 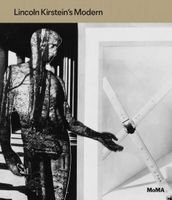 Tomkins, from his unique vantage point as both an accomplished art critic and a friend of Duchamp’s since the late 1950s, presents a piercing portrait of Duchamp, adeptly analyzing his art and career while also recounting his personal life, influences and relationships. This thoroughly researched, eminently readable book is by far the most authoritative Duchamp biography. 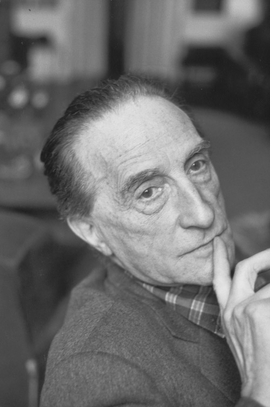 Featured portrait is reproduced from Duchamp: A Biography. 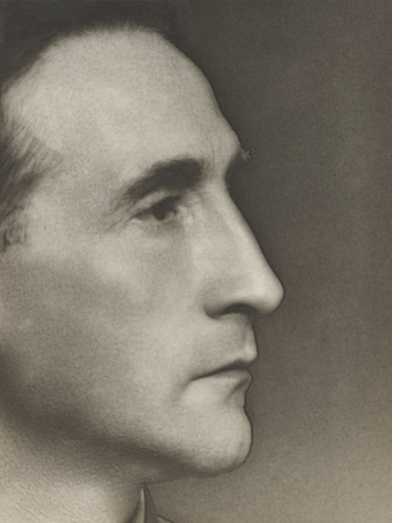 Calvin Tomkins's freshly reissued Duchamp: A Biography (MoMA) is the defining portrait of the art world's great provocateur. On Wednesday, January 29, the New York Public Library presented a celebration of the new, revised edition of Calvin Tomkins landmark biography of Marcel Duchamp, published by The Museum of Modern Art. The author spoke with Ann Temkin, Chief Curator of Painting and Sculpture at MoMA, and artist Paul Chan to discuss Duchamp's storied career, new revelations about his life discovered in recent years, and the lasting influence of his work on the art of today. An audio file of the talk is below. FORMAT: Pbk, 6.5 x 9.75 in. / 560 pgs / 119 b&w.